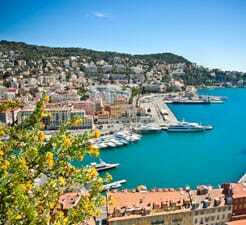 With our Ferry to Nice guide you will get all the info you need in order to plan your ferry crossing to France. Our unique ferry price comparison tool will compare numerous sailing departures around your preferred option with all available ferry companies as well as crossings to other destinations in addition to Nice to guarantee you have all the information you need to decide on which is the best option in one fast and easy search! The booking with Direct Ferries was perfect, no surprise at the Boarding on the boat. Corsica Ferries is a great company: very well equipped ships, with a good gastronomic restaurant on board. The crew was efficient, and the boarding fast. A very easy crossing - left on time - a comfortable journey.